Looking for something to do this summer? 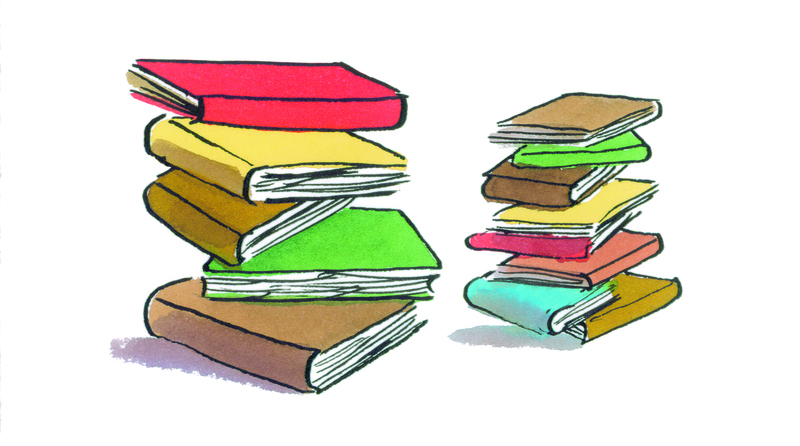 We are looking for volunteers to help deliver the Summer Reading Challenge in our libraries. Young people (14 to 25 year olds) are especially welcome to apply to volunteer. The Summer Reading Challenge is a national reading initiative which encourages children to read for fun over the summer holidays. The combination of fun, freedom, and creativity impacts significantly on children’s reading levels and confidence. 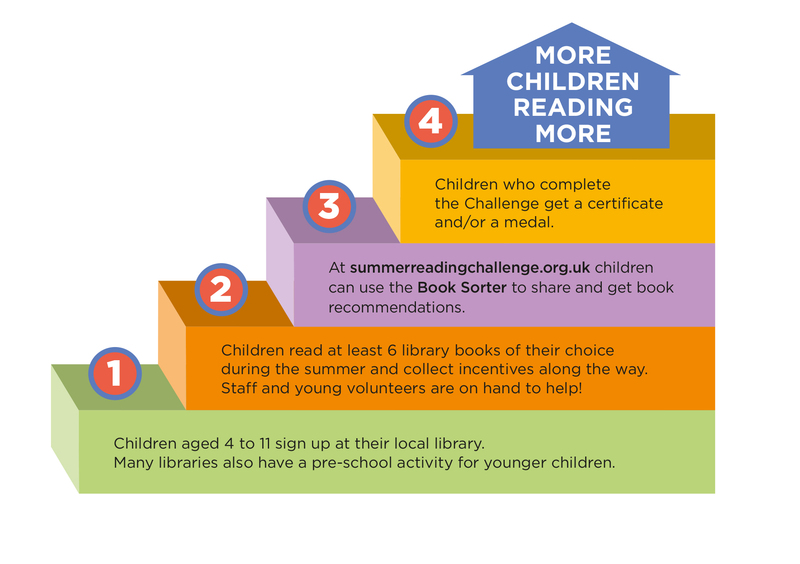 Taking part in the challenge helps prevent the ‘summer reading dip’ which can occur when children are at home over the long summer break and, without reading opportunities, lose confidence in their reading. If I had to sum up my volunteering as a Summer Reading Challenge Mentor, I would say the experience definitely made my summer! During the holidays, there’s a lot of time but not much to do. So what did I do? I took on the opportunity to be a Mentor and I loved it so much I volunteered at the same library again for 2 summers! Being a Reading Challenge Mentor is huge fun – you get to interact with young kids and really get a understanding of what books they enjoy. From science fiction to books about jam sandwiches (yes, there’s a book on that! ), reading can be extremely exciting if you find the right book! I had a truly great time meeting with young readers but also working alongside the friendliest staff around! The library staff are so welcoming and I truly enjoyed my volunteering . If you love reading and want to make a difference – this is the opportunity for you! I had the pleasure of spending two summers in libraries around West London supporting the summer reading challenge. I loved interacting with all of the children and helping them to explore new genres and authors. Assisting with the planning and facilitation of arts and crafts sessions was definitely a highlight of mine. I also enjoyed helping to create in library displays to showcase the children’s work. I have always been passionate about helping children and young people. My work with the challenge inspired me to pursue a career within the education and charity sectors. I would encourage anybody to take part in this programme, it was an amazing experience and has been an asset to my CV. You can download a profile and apply to voulnteer on our website. 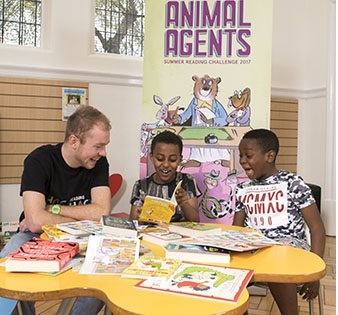 This entry was posted in Arts & culture, Books, Children / Teens, Learning and tagged animal agents, Summer Reading Challenge, the reading agency, volunteer. Bookmark the permalink.